Now on view at BSA Space is an exhibition and accompanying education program that focuses on playgrounds around the world. Dubbed Extraordinary Playscapes, it will run until September 5, 2016 and was curated by Design Museum Boston. On display are drawings, sketches, videos, scale models, and playable installations featuring 40 international playgrounds. 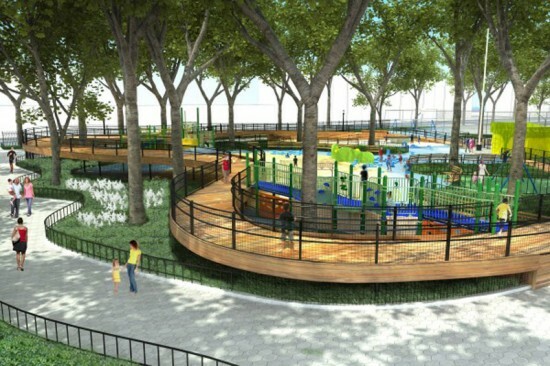 Examples of contemporary architect-designed playgrounds in the U.S. abound: in April, the Rockwell Group–designed Imagination Playground (featured in Extraordinary Playscapes) opened in Brownsville, Brooklyn. 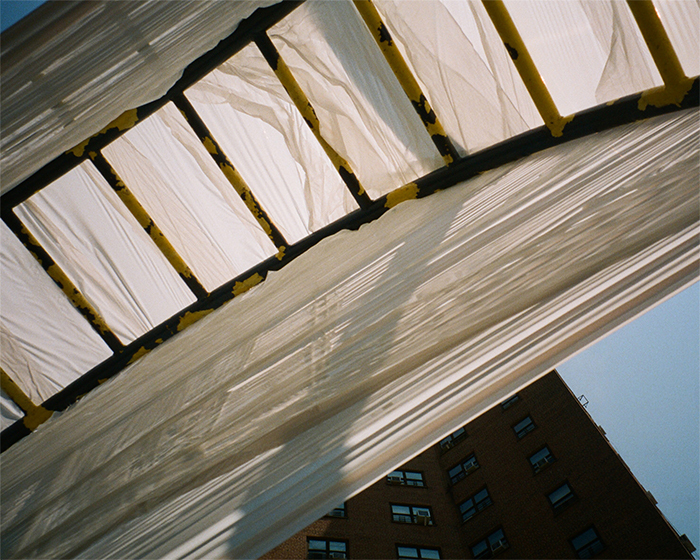 Similarly, in December the renovated Adventure Playground in Central Park, designed by Richard Dattner, also opened. These two playgrounds provide the opportunity for “unstructured play,” a growing trend in playgrounds. 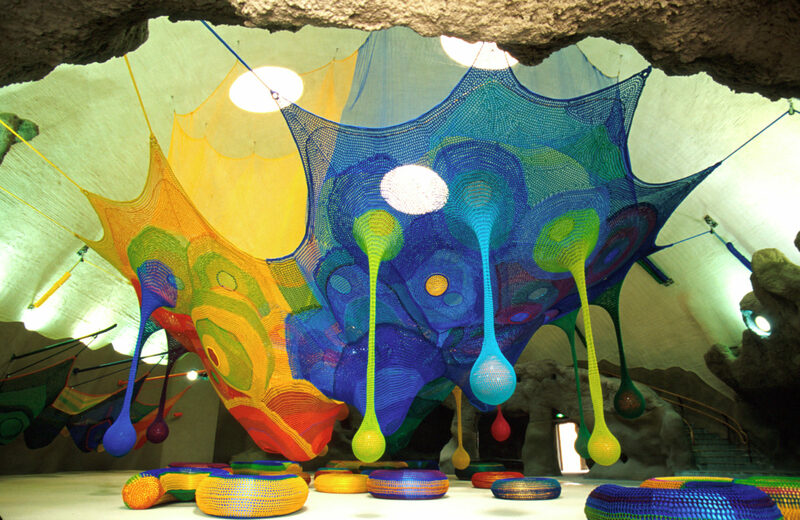 Some of the designs featured in the exhibition include: Wild Walk in Tupper Lake, New York, designed by Chip Reay; PlayForm7 in Singapore, designed by Playworld Inc; Esplanade Playspace in Boston, designed by Halvorson Design Partnership; Takino Rainbow Nest in Takino, Japan, designed by Toshiko Horiuchi MacAdam; Maggie Daley Park in Chicago, designed by Michael Van Valkenburgh Associates; and Ambulance Playground at Beit CURE Hospital in Malawi, Africa, designed by Super Local. You can read more about Extraordinary Playscapes here.